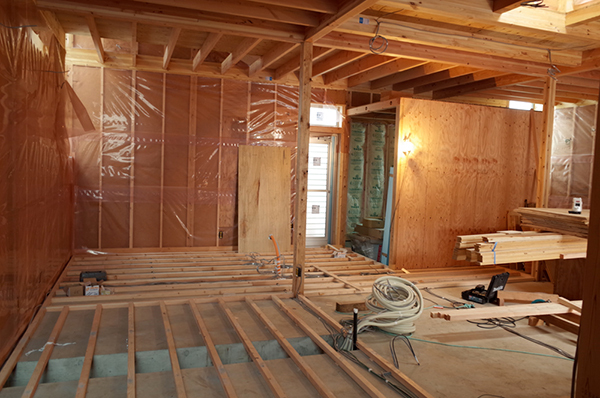 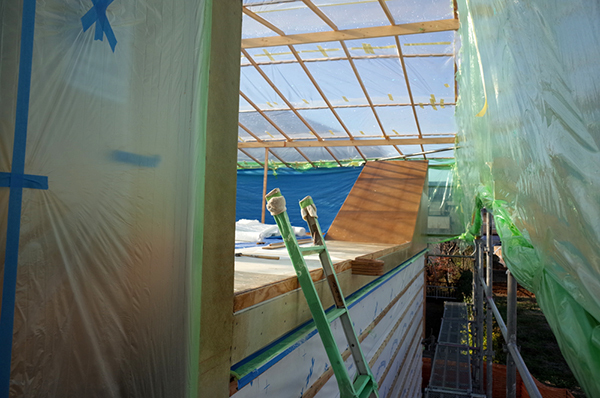 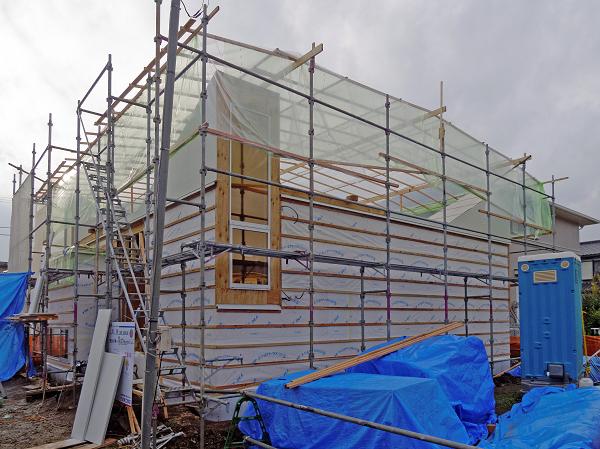 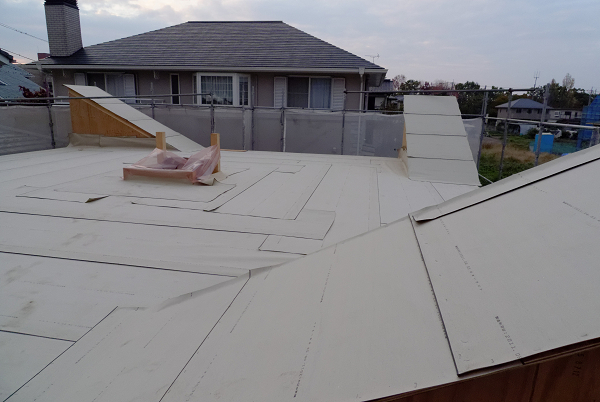 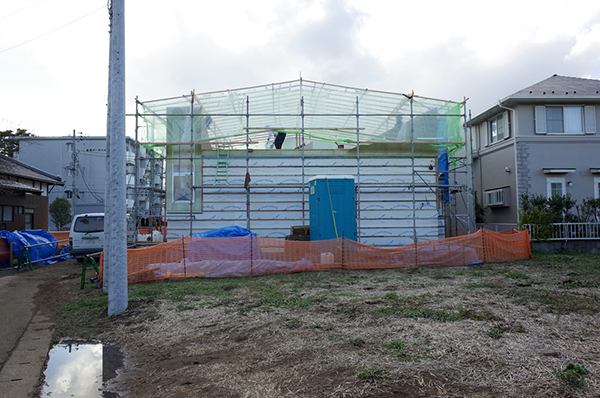 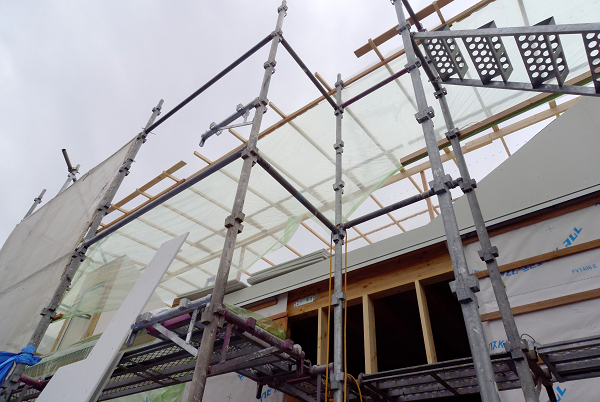 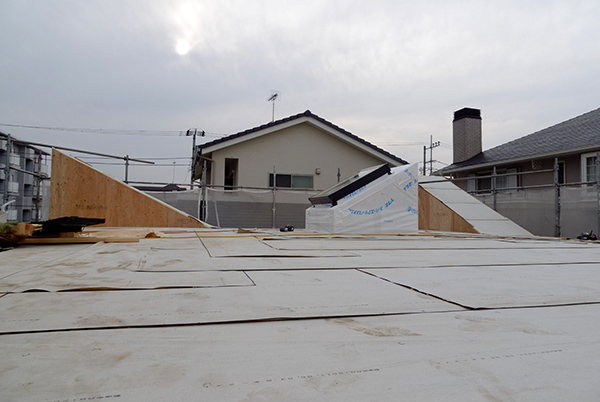 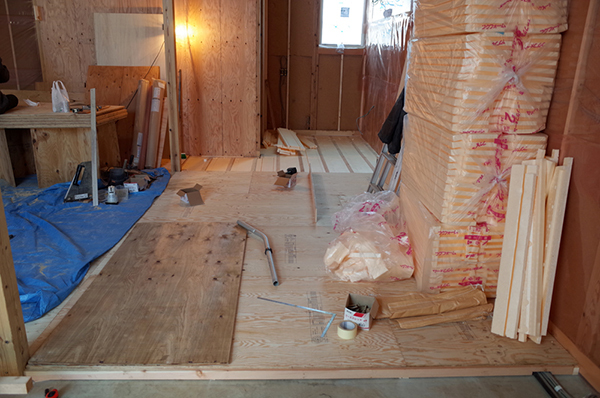 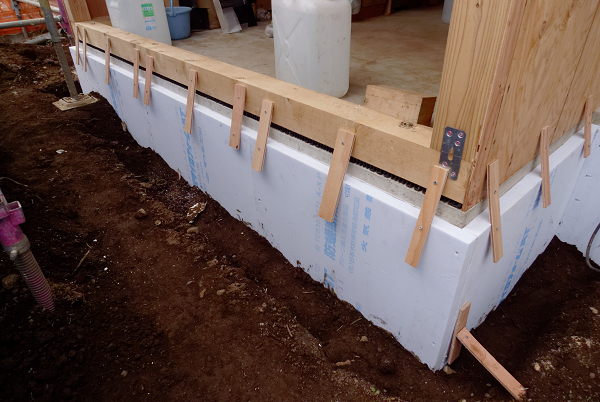 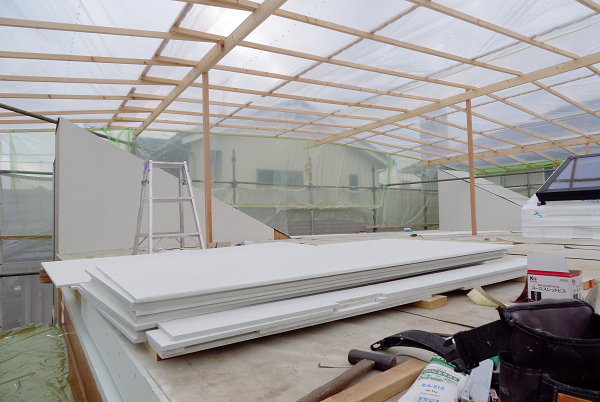 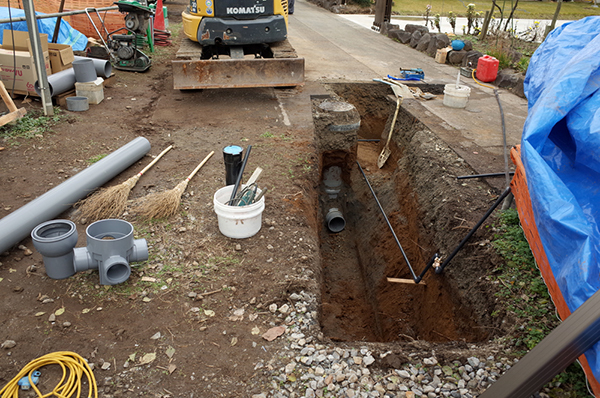 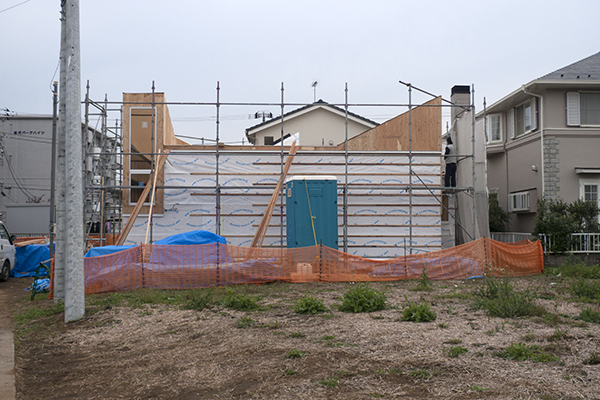 The vapour barrier and the foundation insulation were being installed. 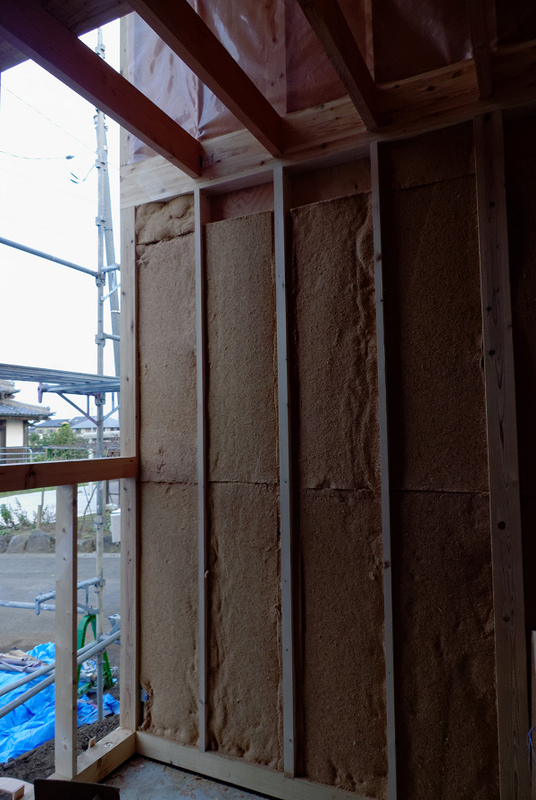 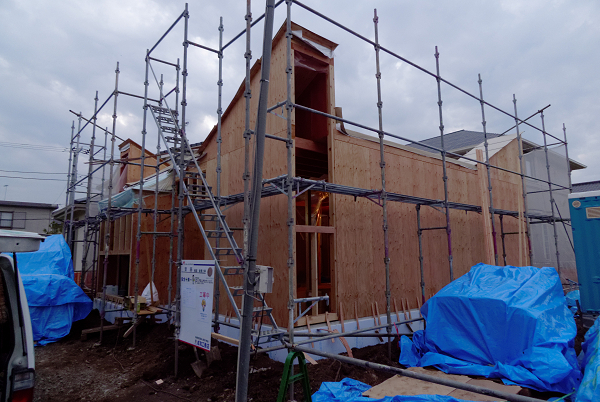 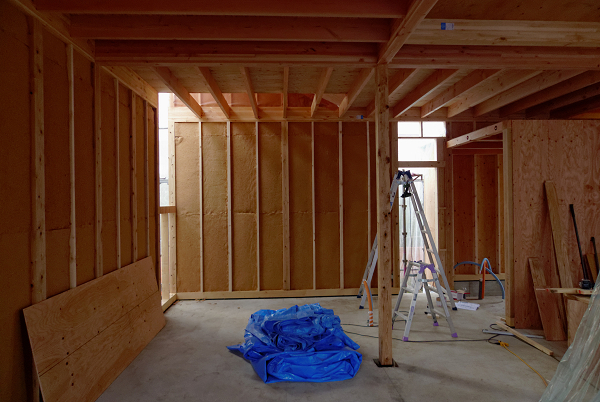 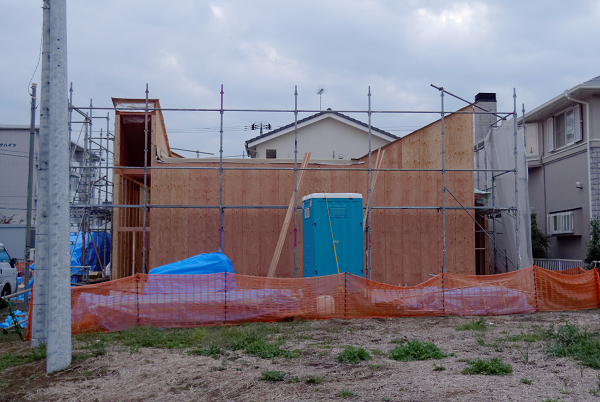 Also the insulation was being placed between the post of the exterior walls. 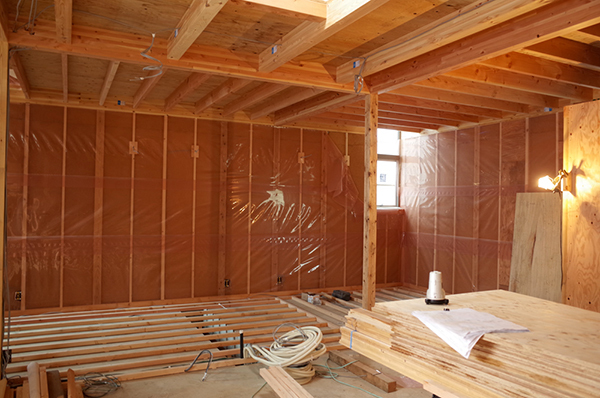 This is a wood fiber based insulation system developed in Germany. 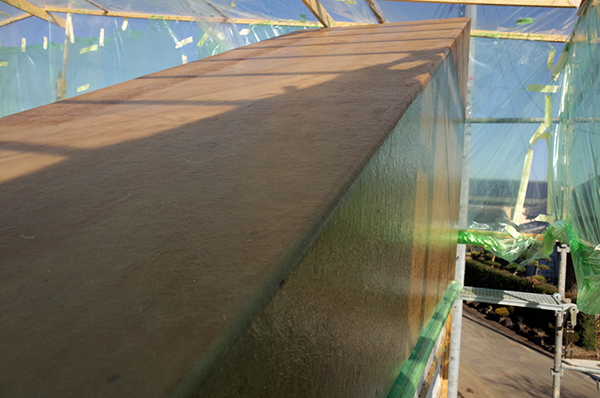 In addition to this soft wood fiber insulation placed between the post there will be an additional 40mm hard pressed exterior insulation. 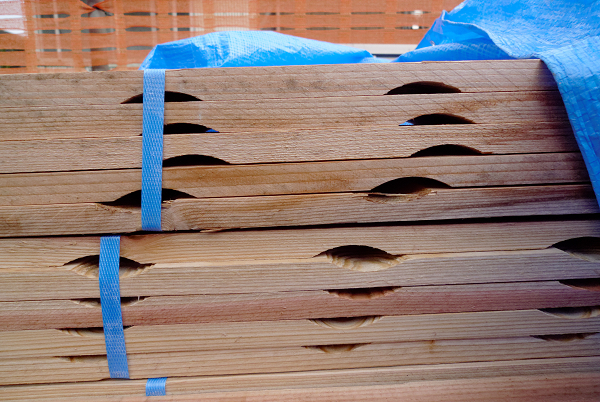 This all will be finished with a wood slat finish with a ventilated cavity. 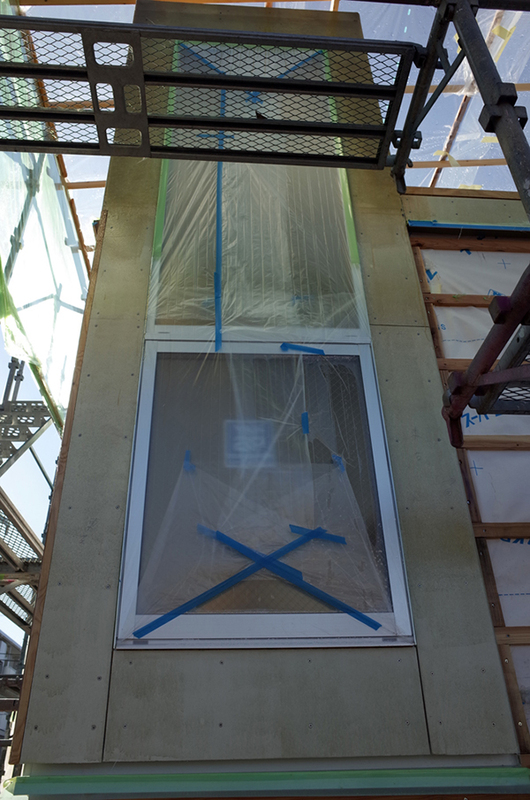 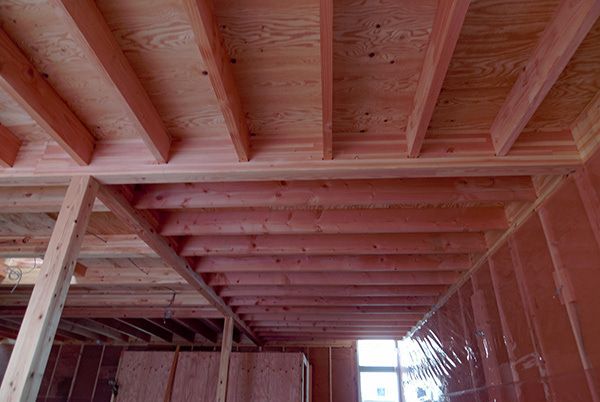 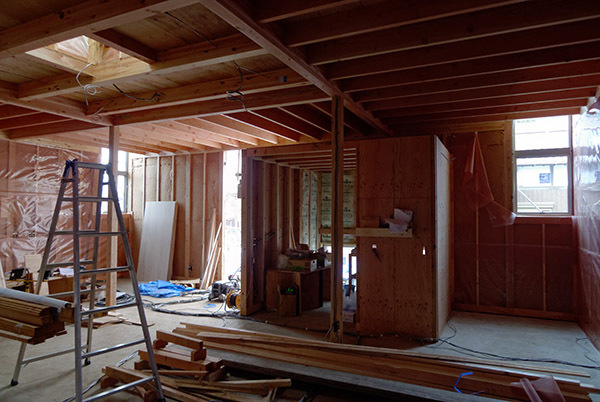 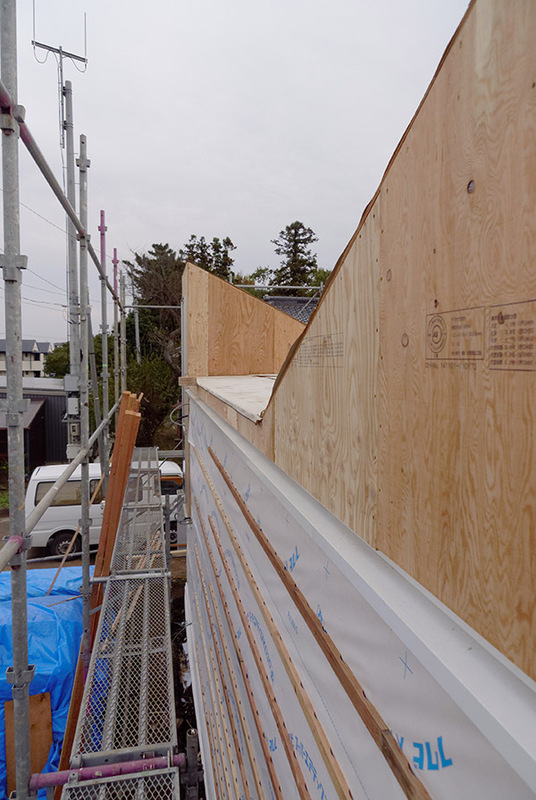 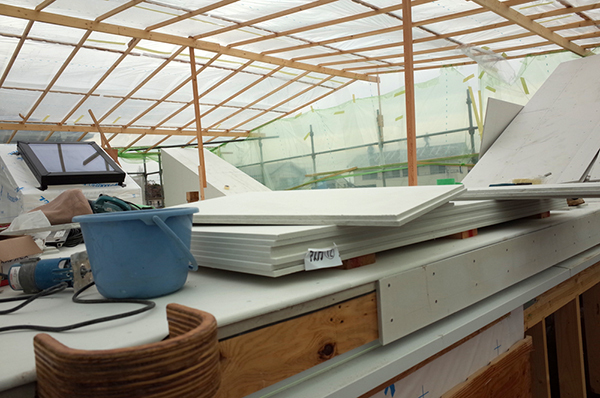 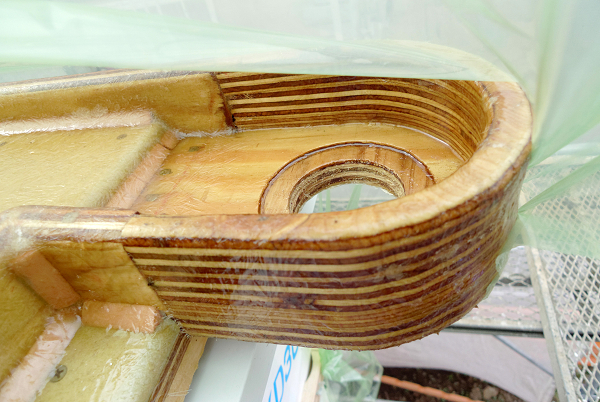 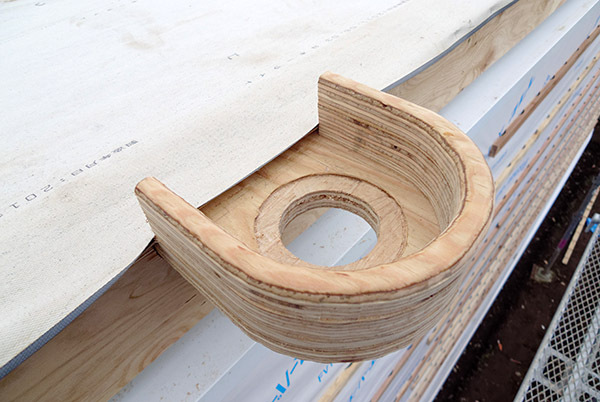 The slats in the foto with the curved cut-outs will be used to create this ventilated cavity.